Samsung S8 Screen Rotation ON / OFF – By using the Samsung screen rotation feature, you’ll be able to display content in horizontal (landscape) or vertical (portrait) and is not available for all apps. To change the view, you just need to turn the device. Firstly, please swipe down from the top of the screen to reveal the notification panel. Simply tap the current mode icon to return to the auto rotation setting (e.g. Portrait, Landscape). 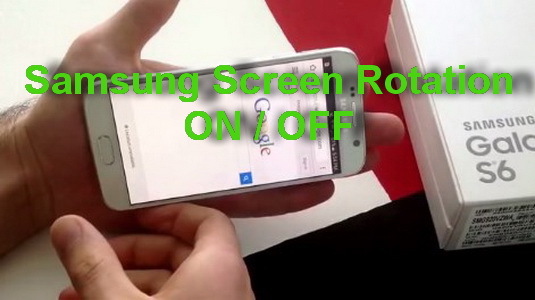 That’s all about How to Turn Screen Rotation ON / OFF Samsung Galaxy S8 / S8+, hope you enjoy and we thanks so much for sharing this post to others. Thank you!